When you enter your first casino it can seem a little overwhelming because there is so much going on. It is important to remember that you are not alone, every day people make their first trip to a casino and feel exactly the same as you. When you enter a casino you can ask the front desk to put you straight into a game. If it is too busy then you will be put on a waiting list. Don’t bet too much in your first few games – instead use this to build your experience on how the game works and how fast it all moves. The internet is full of poker websites, so spend a little time before you go reading up the rules. You can even play a few games of cards at an online casino to get an idea of how the rules work. By doing this you can ensure that you are a little more comfortable with the game and are going to be less intimidated when you enter. Each casino will have its own slight twist on the game that they offer and the rules they abide by. When you enter the casino you’ll see that these rules are displayed for everyone to read – spend a few minutes making yourself familiar with them so you know what to expect. There are different types of poker that are available – for example limit or no limit. It is important to consider the version of the game you want to play before you go ahead and join a table. Of course you’ll also need to buy chips before you get started. The amount of chips you buy will vary depending on how much you want to gamble while you are there. Don’t be afraid to ask for help – but you can’t ask the dealer or floor assistant. Sometimes a dealer will give you help if they see you are struggling, but other than that there should be a customer service desk you can visit and ask for assistance should you need it. Poker moves fast and you need to make sure you tell them what you want to do and be firm in your decisions. The dealer needs to know what your move is without any hesitation or delay. However on the flip side of that, make sure you don’t give any hint of your intention before your move – because you’ll be giving your competitors the upper hand. Wait until it is your move before you even move your hands towards the chips. Remember you are there to have fun so take it all in and enjoy yourself. As long as you are prepared and make sure you know the rules before you go and you’ll be in the best possible position to have a great night at the casino! Good Luck! When you hear of people like Daniel Negreanu and Phil Ivey who have won over $21.2 million and : Antonio Esfandiari who is the holder of the biggest winner of all time in poker with over $26.2 million to his name, you wonder how or where these players meet to play and more importantly, how does one manage to win $10 million in a single event. Well, it is not a single event per-se, because the highest paying casino games are tournaments. If you are a good poker player and believe you can win, there are a number of great online poker tournaments you can join and try your luck with the pros. Here are the top 3 best paying online poker tournaments you should know about. The World Championship of Online Poker is plainly abbreviated WCOOP and is sponsored by PokerStars. The online poker tournament is always held in September on their website and it offered $12,783,900 in prize money in 2005, making it the highest paying online poker tournament in the world. This tournament was PokerStars’ attempt to come up with a World Series of Poker tournament played online. In 2011, during the celebration of the PokerStars 10th anniversary tournament, a Canadian Kyle Weir set a record of the most wins in an online poker game when he earned a $12,423,200. The first prize in the tournament was $1,146,574.65 and is considered one of the highest in online poker history. Cake Poker is a mid-sized poker tournament that offers constant daily overlays because they have a very extensive and guaranteed prize pool tournaments schedules. About 20 percent of their tournaments have overlays during the week but it is a great place to play if you want to win smaller prizes but every day. 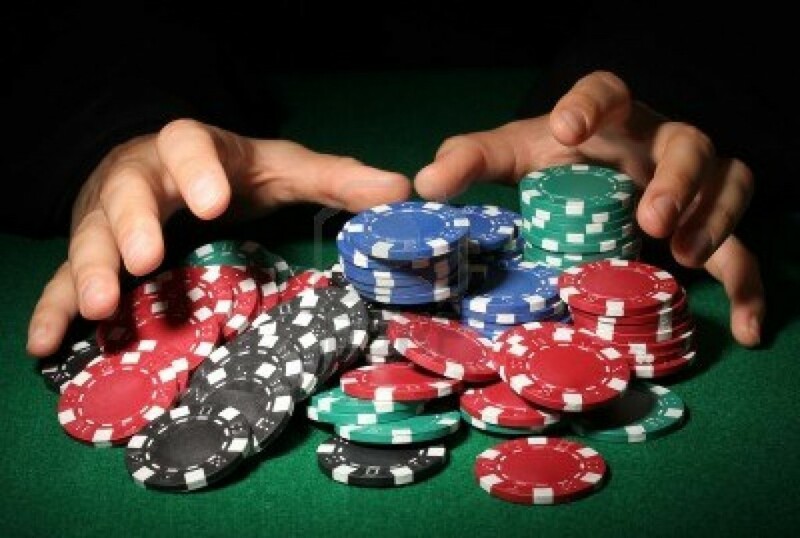 Almost every player in poker at some point wishes they had pocket pairs, no matter the rank. A player has a 1 in 17 chance of getting a pocket pair, hence the reason they are so coveted. However, having pocket pairs is one thing, using them to your advantage is a completely different story, but you are just about to read it. 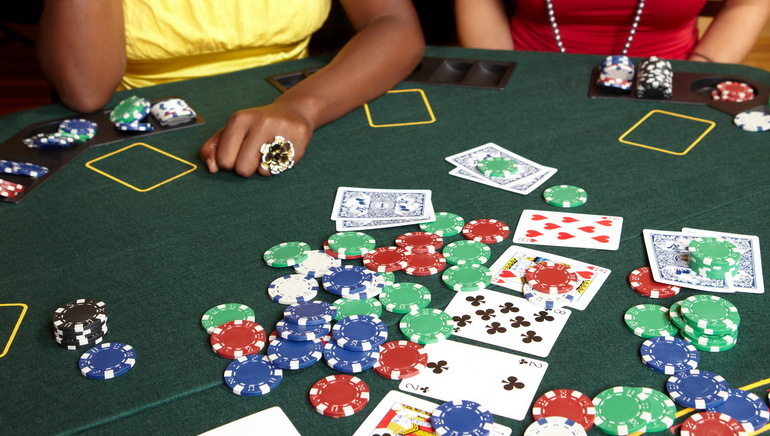 If you do not know, small pocket pairs are pocket sevens or cards of lower numbers. 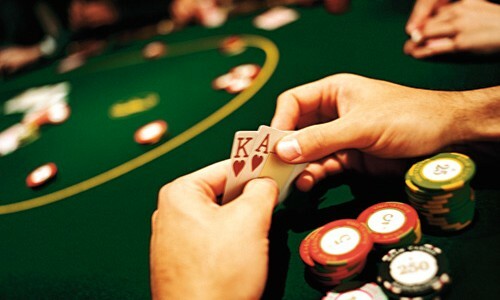 Although any small pocket pair can look good, a small pocket pair should be approached carefully since playing the right pair depends a lot on the table position at hand. At the pre-flop position, your small pair can be the best hand at the table but after the flop the odds change substantially as the cards hit the board if you did not hit your set at the flop. Is raising the pre-flop with a small pocket pair a good idea? The answer is yes if the player’s position and other players’ bets happen to be right. When seated with a pocket of 4s in an early position, it is wise to let other players take later position as they might decide to raise with better starting hands. 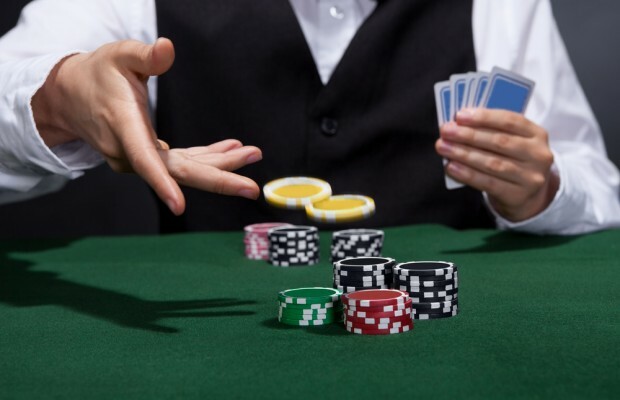 It is not wise to raise just before an opponent re-raises before the flop as you could lose significantly. When no other player acts before you raise and one or two have called, it is advisable that you raise about 3 times the big bind to thin the playing field and to keep the blinds from limping in. Your pocket pair should be considered the strongest hand on the table and will work to your advantage since 2 over cards on the flop gives a 49% chance to your opponents. If you don’t know what poker tells are, you probably don’t know much about the game besides that it is a game of chance and that the odds of winning can be altered even by the slightest facial expression. Poker tells are those small movements a human being involuntarily makes, such as twitching of the nose, creasing of the forehead, sighing or holding breath among others and can be used by opponents to estimate the player’s hand. However, when it comes to online gaming, how can you read an opponent you cannot see? The secret is in watching their behavior in the game, eventually something leaks out and a pattern forms. 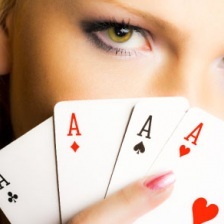 Here are the top 3 tell tale signs you can use in online poker to your advantage. One of the most reliable signs to read when playing poker online is a sudden or initial over and under betting by your opponent. It could mean your opponent has little or no experience, has lost track of the pot size you are not playing a LIVE game. Did your opponent just call instantly? There isn’t much to think about then and he has a speculative hand if the call is before a flop or the player didn’t think about raising. The insta-call before the flop helps you narrow his holding. This sign actually shows something is going down, but it can either be very good or very bad for you. Among the easiest to tell signs in online poker is a long pause before a play. An unusually long time to decide is a genuine indication your opponent may be spoilt of choice unless you know you put him in a corner. An unusually long delay is most often not a good sign, it is worse if the long delay is followed by a raise! If you came to the conclusion of “slim to nil”, then you might as well keep on reading. There’s a reason why any poker place worth their salt will advise you to dump weak hands like a bad habit. It’s not the short term game that they’re analyzing for real money games, but the long term. You increase your win rate by divorcing weak hands as quickly as other players marry them. The choice is always up to you, but sound poker theory calls for using your head as much as possible. There’s another reason why you want to drop weak hands: their weakness transfers quickly to the image other players have of you as a poker player. If you’re constantly chasing the river, that gets noticed. If you’re so hopeful that others are bluffing when they aren’t, that gets noticed. You sculpt your average over time hand by hand. It can take hundreds if not thousands of hands to override a bad start, so keep that in mind as well. There are plenty of sites that track player statistics, and trust us when we say that seasoned players are looking at them. If you look like a fish, you’ll be hunted like one. If that offends you, the only solution that you have at your fingertips is to just push forward harder than other people. Go back and play a lot of practice hands. Start rethinking poker strategy. Firing chips at a pot that you know you can’t win isn’t going to make anyone think you’re bluffing. Oh sure, you might win a few hands that you wouldn’t otherwise. But once other people catch on, they will make you pay dearly for that type of deception. Go back and look at the hands that you’ve actually played. This doesn’t just include the hand you had, but the entire round. Looking at how you acted and how others responded can give you valuable insight. This is stuff worth paying for, especially when you’re thinking about moving from one stake to another stake. The higher you go, the tougher the competition will be. It’s not just your hard earned money at stake. You will run into people that supplement or even replace their income with poker winnings, and they aren’t trying to starve anytime soon. Be very careful! If you’re going to study poker the right way, there are two things that you have to do: look at the theory of the game, and then play a different variant than what you’re used to. Look, we get it. We’re crazy about Texas Hold’Em but it’s not the only poker out there. And if you have dreams of participating in a major, televised event like the World Poker Tour or the World Series of Poker, you’re going to need to stretch way outside your poker com fort zone. That’s the name of the game, as hard as it might be to deal with. But we’ve given you six cool variants to check out. Some might be similar to other variants you’ve played. Others might be found only at certain casinos. If you’ve ever wanted to create a trip to play poker, this is your chance to learn new skills. Below is the list of our picks. Check it out. This variant is found at a few Las Vegas casinos, so if that interests you…check this out. Like the others, it’s a single card deck, but with no jokers. The dealer gives you three cards, plus two community cards. The community cards are face down. At this point, you can fold or raise. You can only raise once in Big Raise Stud, up to four times your ante. Asian Stud is slowly starting to grow outside of the Seattle area, where it first started about 12 years ago. You get a single deck of cards, but it includes a joker. In this variant, the ace is worth 1 point, and the joker is one point as well. You make your ante wager and then the dealer gives everyone five cards, including themselves. These are all face down cards that each player can examine. Don’t share information; it’s rude. Like the other variants, you will either raise or fold. The additional wager is equal to the original one. 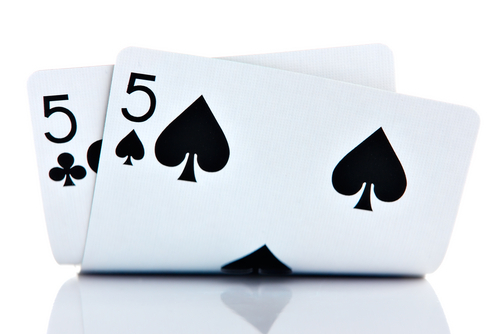 You separate your five cards into a three card hand and a two card hand. The 3 card hand has to come up to 10, 20, or 30 points. Cards 2 – 9 have a point value equal to their face, and face cards are all worth 10. If you can’t qualify on the 3-card hand, you lose your wager. The only way to reverse this is if the dealer themselves don’t qualify. You can win good money on this one, so check it out. This is kind of a weird poker variant, in that it’s not played very often. You’re basically betting on the outcome of a 5-card hand. You have four community cards and the 5th card is your choosing. The game starts up with your bet. Then the dealer discards one card and then places the very next four cards face down on the board. Each card is turned face up one at a time.